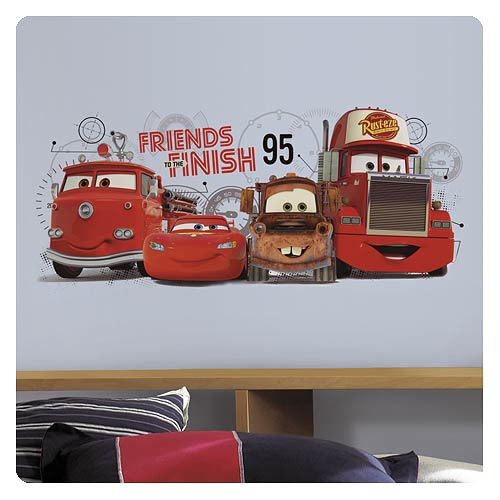 Fast and fun, this Cars 2 Friends to the Finish giant wall decal is great for fans of all ages! Removable and repositionable, the decals can be installed onto any smooth, flat surface. Apply in any child's bedroom, nursery or play room for a complete makeover! Product measures 39-inches wide x 16 1/2-inches tall when fully assembled. Ages 4 and up.